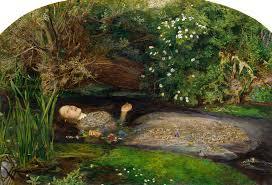 Victorian Paintings: Victorian age is referred to as an age of realism, in art and literature. By the end of the century, despite many disturbing developments, the emergence of abstract art and the arrival of modernization in the artistic scene is felt. Victorian art is well known for its distinctive style. During the early years of Queen Victoria’s reign rapid industrial development resulting in many social and political changes was seen which made the United Kingdom very powerful and one of the most advanced nations in the world. The early paintings were dominated by the theories of the first president of the Royal Academy of Arts, Joshua Reynolds. The Italian Renaissance painter, Raphael’s work had the great impact on his mind and he believed that it is the artist who makes the subject of his work look noble and idealized to a great extent. The artists followed this approach successfully during the pre-industrial era. During this time, the main subjects of paintings were nobility, military and historical scenes. This approach had begun to be seen as stale and outdated by the time of Queen Victoria’s accession. This was the time when a wealthy middle class emerged and this changed the art market. Joshua Reynolds, the first president of the Royal Academy of Arts, had greatly influenced British painting. He believed that artists should conceive and represent subjects in a poetic manner and should not stay confined to the matter of fact. According to him, artists should seek to match Raphael, the painter, making their subject matter as close to reality as possible. These paintings had proved commercially successful for the artists but the time of Victoria’s accession it came to a dead end. 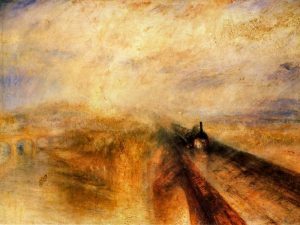 In the Victorian era, J. M. W. Turner was the most significant living British artist. He had gained popularity by exhibiting a series of well-regarded landscape watercolors in a late eighteenth century and exhibited his first oil painting in 1796. He remained loyal, faithful and dependable for the Royal Academy of arts throughout his life and was elected full Royal Academician at the age of 27 in 1802. However, he resigned from the post of professor in 1837 and met John Ruskin in 1840. By 1840 Turner was being turned out of fashion because the young artists were preparing to enter the romantic period with a touch to the modern age. The generation that grew up during the industrial age started believing in accuracy and attention to detail. This generation believed that the role of art was to reflect the world instead of idealizing it. 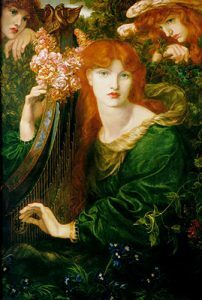 This gave rise to the creation of Pre-Raphaelite Brotherhood, formed by a group of young students during the late 1840s and early 1850s. This was mainly a reaction against the Royal Academy’s teachings. The paintings during this time were as accurate as possible often from nature and even if the artist tried to paint an imaginary scene, he tried to make it appear as realistic as it would have been appeared instead of making it appear noble. They also felt that the role of the artist was to tell moral stories but were more fascinated by the recent scientific developments which apparently looked like a disapproving biblical sequence of events. 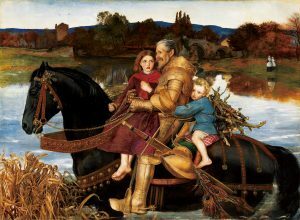 Pre-Raphaelite Brotherhood was short-lived, but the ideas were extremely influential. Many French impressionist artists loved London after the Franco-Prussian war of 1870 and they brought with them the new styles of painting. The spread of mechanism and the severe economic depression made British cities unfavorable to live. This made the artists turn against reflecting the ugly truth of reality through their art pieces. The main reason was that this approach was leading to a decline in the quality of the painting. 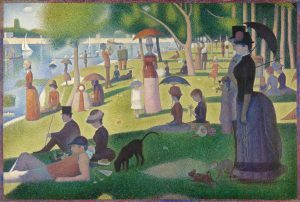 A new generation of painters and writers emerged who were known as the aesthetic movement. They started creating works portraying the beauty and noble needs which was a distraction from the unpleasantness of reality. The painters of the aesthetic movement took pride in detaching themselves from reality, worked from studios and rarely mingled with the public. It could be seen in the subjects of their paintings which were human figures sitting, lying still or standing. The facial expressions were generally blank lacking any emotion or feeling. The Victorian era ended in 1901 and the beginning of the twentieth century saw the unpopularity of the Victorian attitudes and arts. 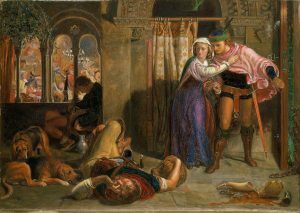 The modernist movement had very little connection with nineteenth-century British works. British art was dominated by European tradition and the artists, as well as the critics of the modernist movement, mocked it. 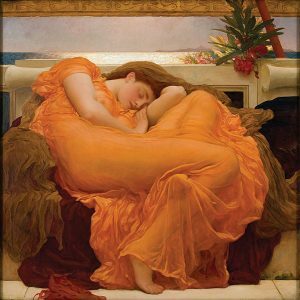 However, the pre-Raphaelite work enjoyed a return of popularity in the mid of the twentieth century, but Non-pre-Raphaelite paintings remained unfashionable. Victorian art represented the most vibrant colors of the high society of England which got its shape during the extended period of Queen Victoria’s reign of 64 years. The art during this period was mainly focused on making England’s high fashion and modern elegance popular. The artwork was mostly inspired by the growth and expansion of the British empire during that era. Due to the huge advances in photographic and architectural technology, the art styles vary. The changes in form and decorum of both, architectural and visual art could be seen affecting the viewpoints on aesthetics. Along with popular high-class social events, there were paintings of the countryside of England as well. 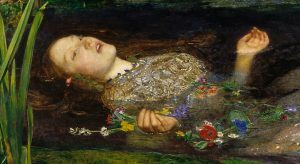 The painting was a field mostly dominated by male artists till 1859 when 38 female artists filed a petition to all Royal academicians to open an art academy for women. However, by the end of the century, the interest of the public shifted to pre-industrial times and great fashion for paintings of medieval themes emerged.